The JFK Elementary School is a bilingual, bicultural, German-American public school situated in the district of Steglitz-Zehlendorf in the southwestern part of Berlin. The Elementary School is among the most prestigious in Berlin with five sections of each grade level, Entrance Class through Grade 6. Parents send their children to the JFK Elementary School because of the appeal of a bilingual, bicultural education in a multicultural school community. German and American students are taught in the same classroom with the goal of developing respect, tolerance, and understanding for each other and for the partner culture. We provide an academically challenging curriculum with flexibility to meet the needs of individual students which combines features of both the American and German educational systems. The Elementary School offers unique opportunities for a child’s early exposure and contact to the partner culture and language. Instruction is in German and English, with English being emphasized because of the German-language environment surrounding the students. All students are assigned a Mother Tongue and a Partner Tongue, which define their language arts program during the school day. An extensive program of extracurricular activities is offered during the lunch hour and after school for students in grades 1-6. 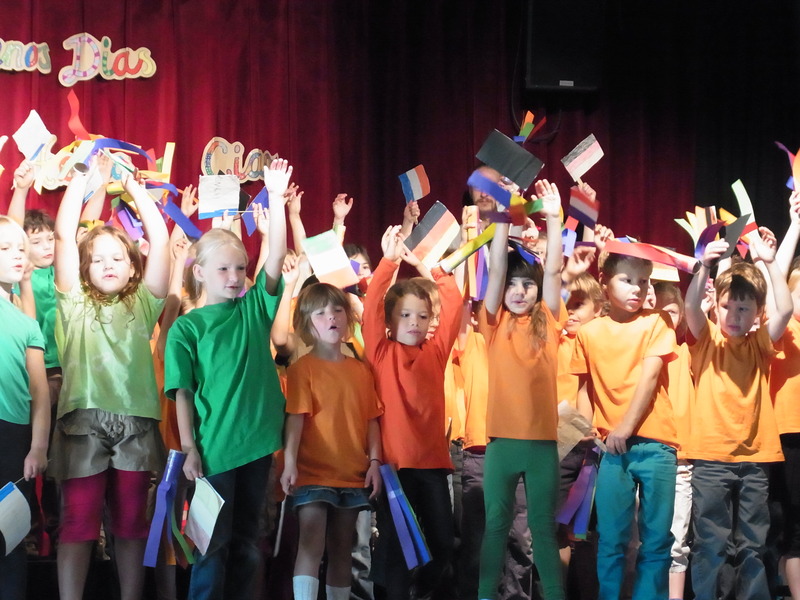 Children have the opportunity to further develop their talents in musical, athletic and academic activities.